Raisin L Ranch, just outside of Victoria TX, is a beautiful place to host many special occasions including weddings and wedding receptions. The location is scenic and peaceful with a western-style building situated next to a beautiful lake. 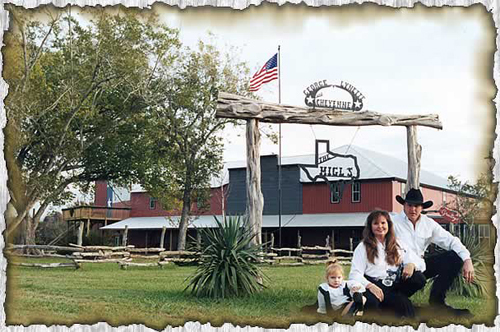 Raisin L Ranch would make a memorable wedding venue or wedding reception site.